The cards will set you back US$69 and $99 for the 16 and 32 GB units respectively. While many cameras now pack Wi-Fi connectivity for the wireless sharing and transferring of captured images, those owning cameras without such capabilities need not necessarily have to shell out cash for an entirely new camera to get wireless connectivity. 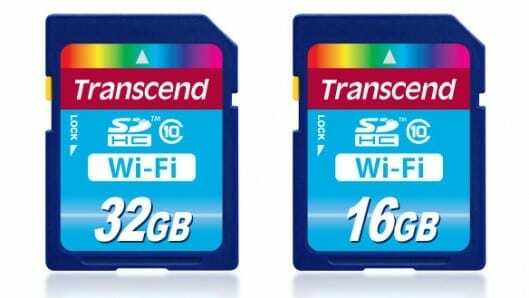 Transcend has announced a new range of Wi-Fi SD memory cards that add wireless capabilities to SDHC-compatible digital cameras, along with a companion app for iOS and Android devices that allows users to browse the contents of the card, instantly view images on their mobile device as they are taken, and share content online. While smart-cameras and Wi-Fi add-ons are all the rage at the moment, wireless SD cards like those from Eye-Fi have been giving humble connection-challenged cameras a welcome wireless boost for several years. Unfortunately, they’ve traditionally been expensive, have somewhat limited capacities and have not been the quickest SD cards out there. The Wi-Fi SD memory cards from Transcend feature a SDHC Class 10 speed rating to ensure fast read and write speeds, and are available in 16 or 32 GB capacities. Though the Eye-Fi Pro X2 was recently upgraded to Class 10 (the majority of wireless SD cards are only Class 6), its capacity still maxes out at 16 GB. In Direct Share Mode, the card activates its own wireless signal to allow peer-to-peer connections between a camera and a mobile device, while Internet Mode sees the card connect to the internet via a hotspot – either that of your smart-device or an external one. The accompanying free-to-download Wi-Fi SD App then automatically organizes the data on the card into a simple file system which is easy to navigate. The app can be used to browse photos, watch videos, download content, and share shots via email or to Facebook. Wi-Fi-enabled computers can also be used to access the card’s contents via a web browser.